Our elegant wine bucket is one that every equestrian ehnthusiast should have in their bar. This refined and stately leather, brass and glass ice bucket is perfect for any hunt lodge, show tackroom or equestrian themed home. 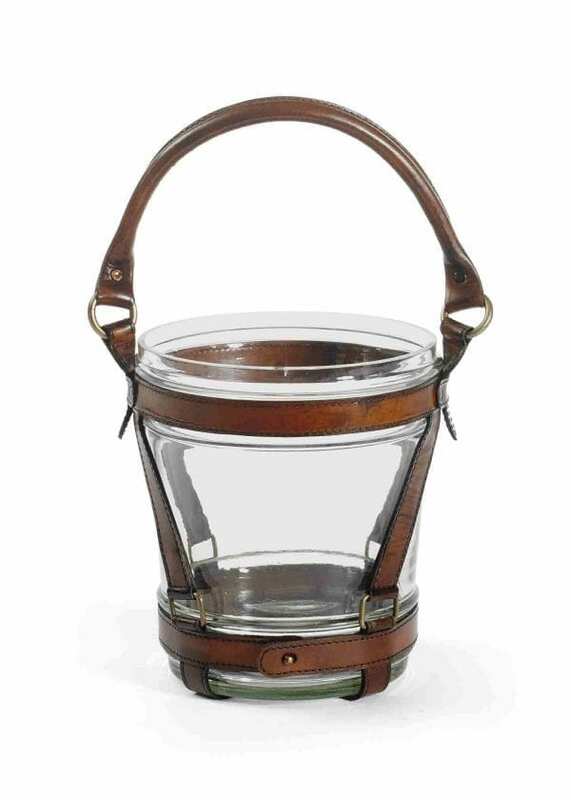 Made from real leather with heavy brass hardware with a heavy glass bucket.